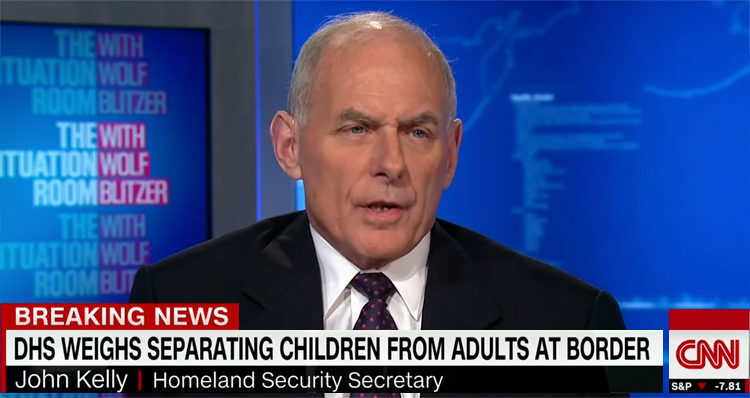 DHS Secretary says he’s considering separating immigrant children from their parents to deter illegal immigration. “Yes I’m considering [that] in order to deter more movement along this terribly dangerous network. I am considering exactly that. They will be well cared for as we deal with their parents,” he continued. Blitzer replied “but you understand how that looks to the average person who is born” before being interrupted by Kelly. “It’s more important to me, Wolf, to try to keep people off of this awful network,” he replied.